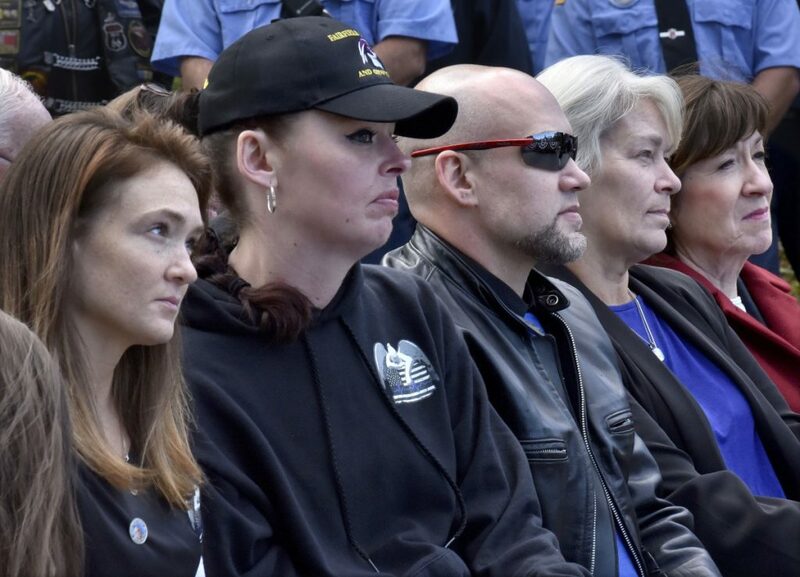 Friends, family, community gather Sunday to honor Cpl. Eugene Cole at bridge dedication ceremony on Route 201A over Kennebec River. 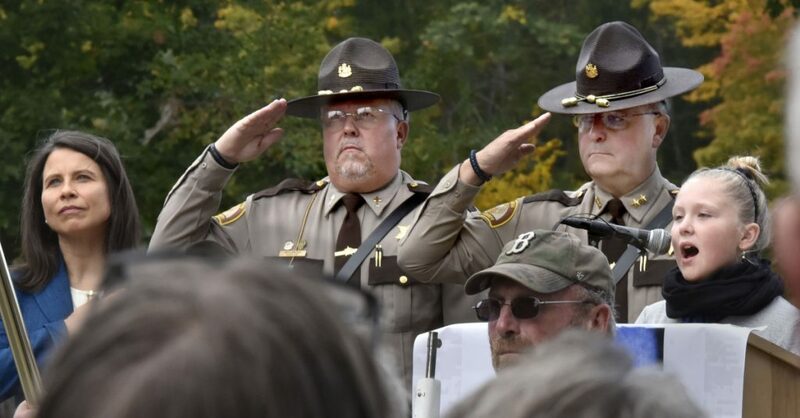 NORRIDGEWOCK — On what would have been Cpl. 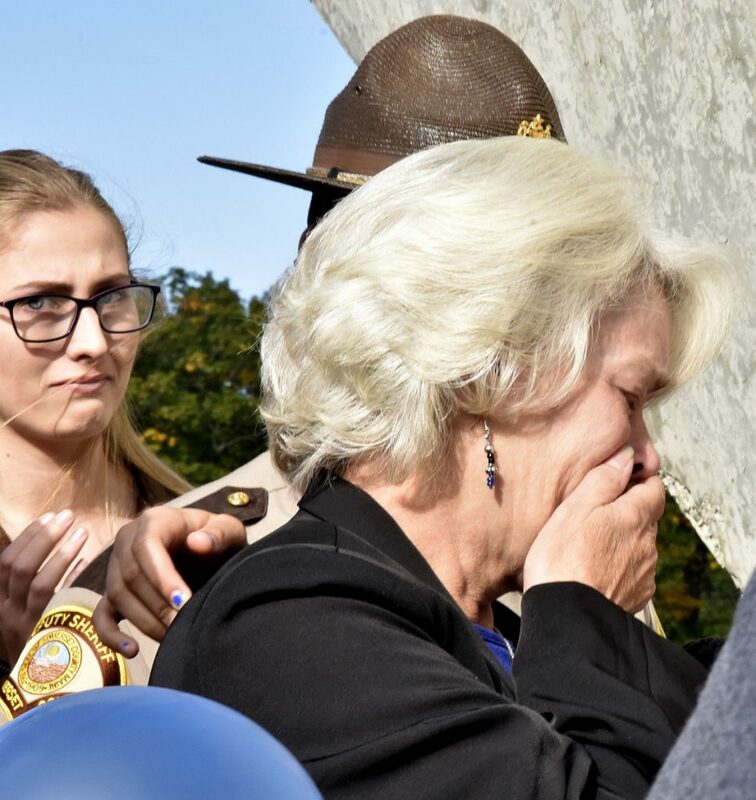 Eugene Cole’s 62nd birthday, the community came together for a bridge dedication in honor of the Somerset County sheriff’s corporal who was shot and killed while on duty this spring. 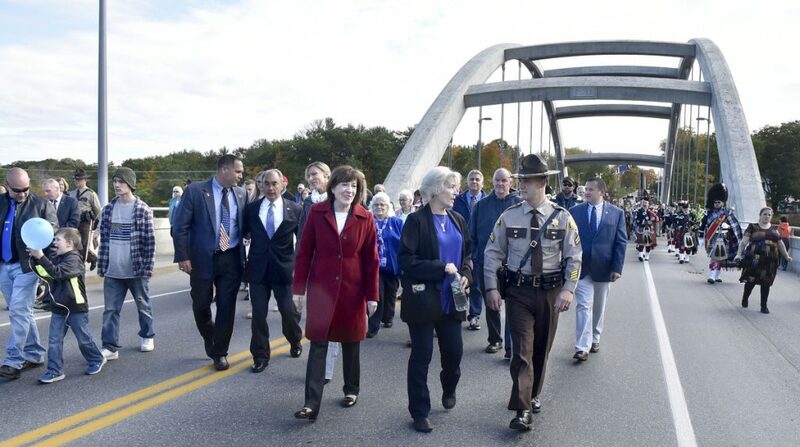 The bridge spanning the Kennebec River on Route 201A in Norridgewock was officially unveiled as the Cpl. Eugene Cole Memorial Bridge Sunday afternoon with his wife, Sheryl, and family in attendance. 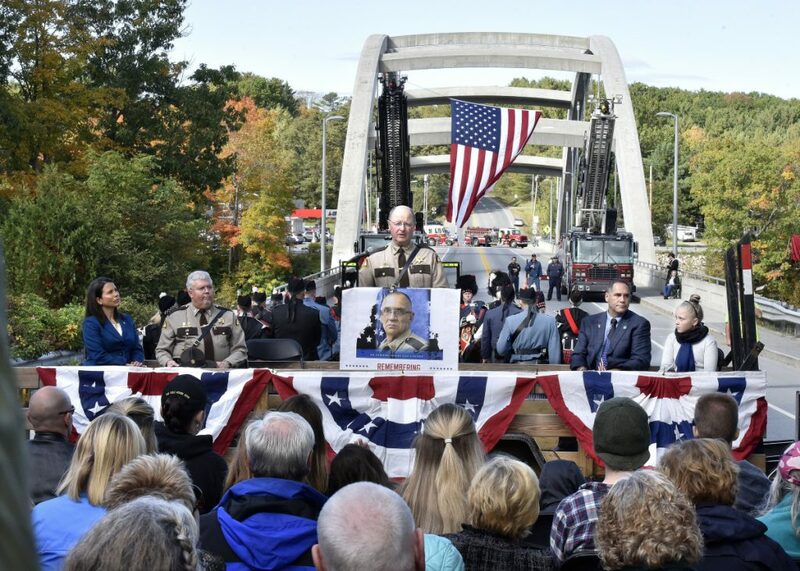 The Oct. 7 ceremony, which drew a large crowd to the south side of the bridge, included remarks from several local, state and federal officials about the life and legacy of Cpl. Cole. Farrin, who is from Norridgwock, introduced legislation ultimately passed by both the House and Senate to rename the bridge. 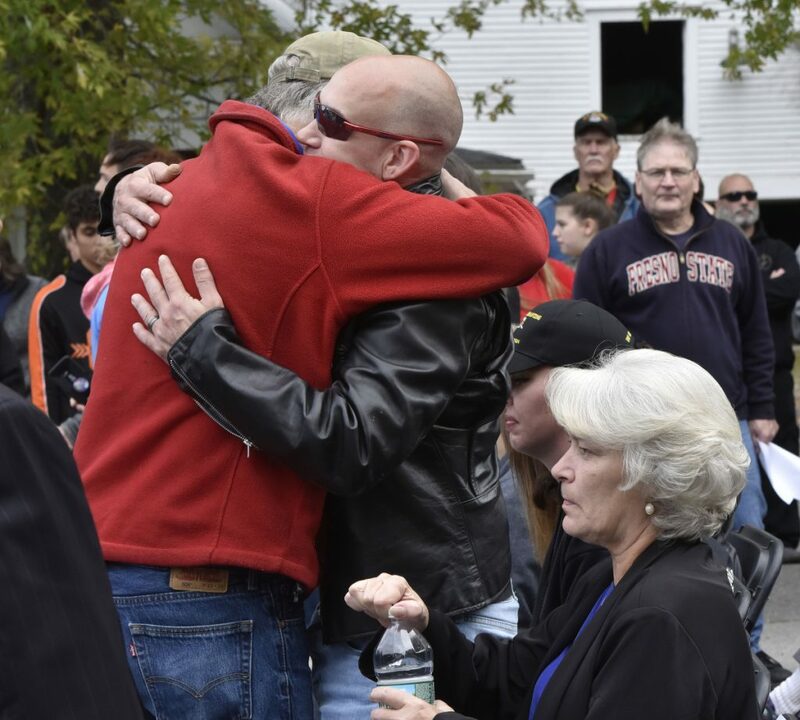 He thanked many others, including State Senator Nate Libby, a Democrat representing Lewiston who grew up in Norridgewock, cosponsored the bridge legislation and was unable to attend the event Sunday. Cole, who lived in Norridgewock, was shot and killed while on patrol in the town during the early hours of April 25. It was the first police officer shooting death in Maine in nearly 30 years. The shooting took place just minutes after Cole apparently stopped to check on John D. Williams, who had duffel bags and a bulletproof vest after being dropped off at a driveway around 1 a.m. Williams, 29, was arrested in Fairfield after state, local and federal authorities converged on the area for a massive four-day manhunt. He made his first court appearance April 30 and was charged with murder, later pleading not guilty. Farrin later introduced Somerset County Sheriff Dale Lancaster. Lancaster called the bridge “a daily reminder of Gene’s ultimate sacrifice” and a place to reflect on who Cole was as a person. “I believe that Gene would have been humbled and honored to know how this community came together to remember his service,” he added. The Norridgewock Board of Selectmen unanimously approved the bridge dedication, and LaBelle previously said the town was approached by Lancaster about renaming the bridge after Cole. LaBelle said Lancaster asked him and the Board of Selectmen to draft a letter showing full support of the name change. Norridgewock also declared April 25 as Corporal Eugene Cole Day. 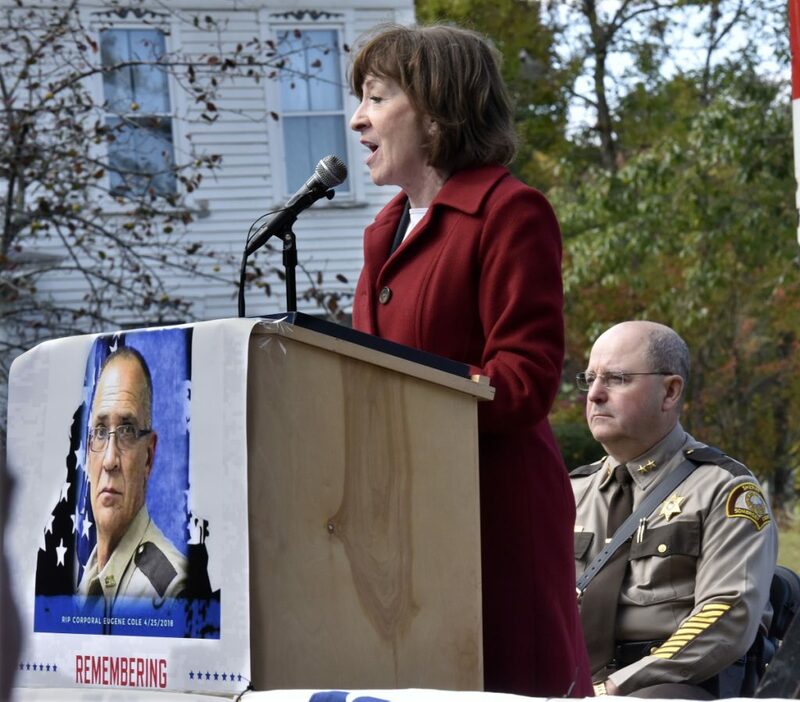 Along with an invocation from Pastor Kevin Brooks and remarks Somerset County District Attorney Maeghan Maloney, Sunday’s event also included remarks from two of Maine’s federal representatives: U.S. Senator Susan Collins and Congressman Bruce Poliquin. 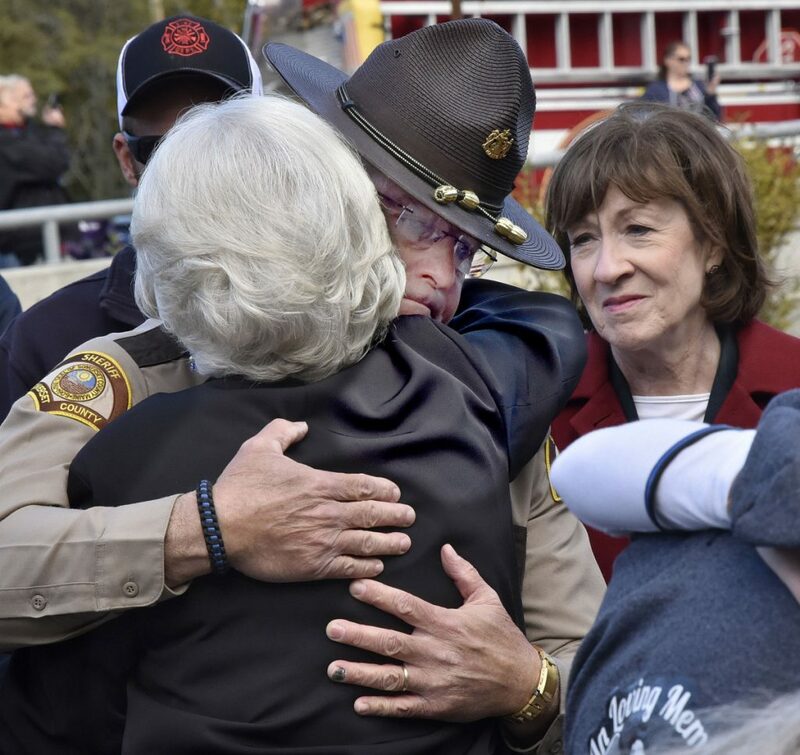 “He was a hero, not just because of the way that his life ended, but because of the way he lived it — always caring for the people of these communities,” Collins said of Cole. Norridgewock resident Julie Austin said she didn’t know Cpl. Cole but felt it was import to attend the event Sunday. 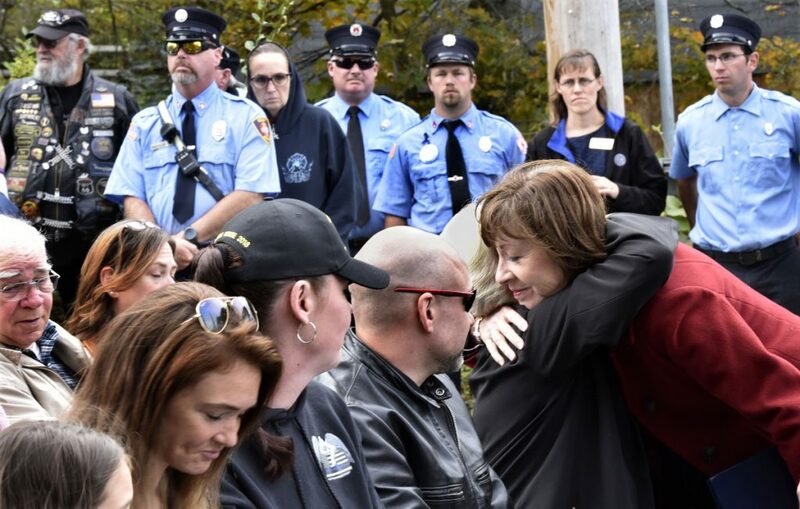 “He was a hero — he put his life on the line every day,” she said. 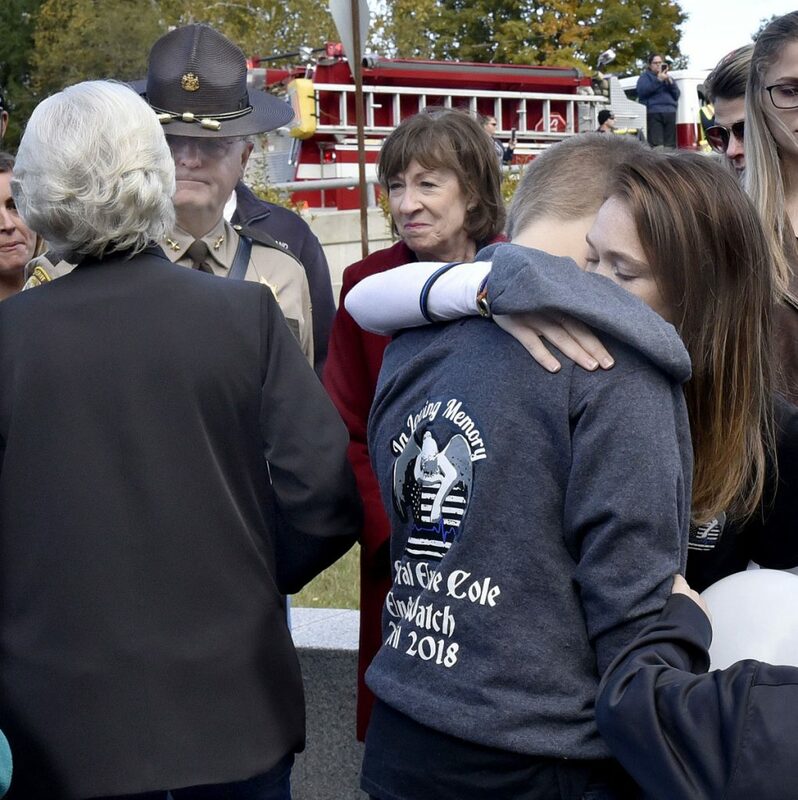 Following the remarks portion of the event, the Cole family and various officials helped lead a procession across the bridge that included the unveiling of several signs and plaques dedicated to Cpl. Cole. “Let’s show the Cole family how much we love and respect them,” Farrin said while encouraging the crowd to join the procession. During the walk across the bridge, Paul and David Wright, of Detroit, identified themselves as Cole’s cousins. Morning Sentinel reporter Doug Harlow contributed to this report.